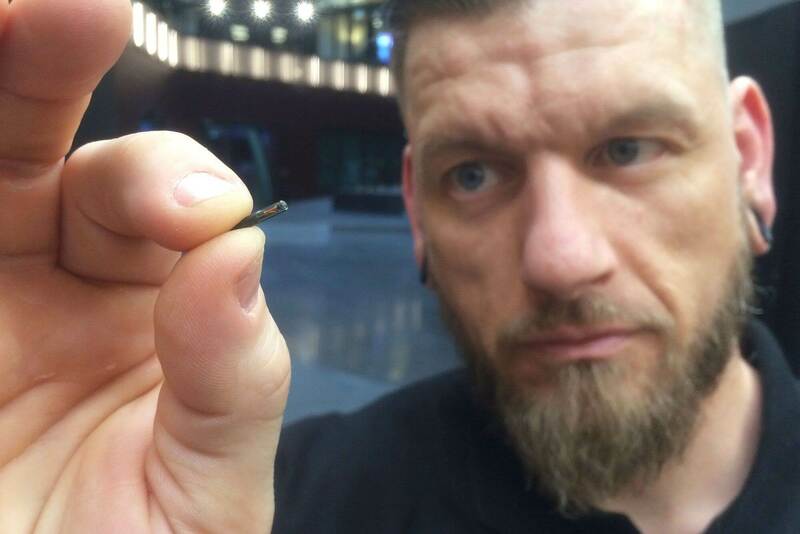 A hot potato: Would you allow your employer to implant a microchip under your skin? It’s a scenario that could soon be faced by hundreds of thousands of UK workers after two firms said they were in talks with British companies about using the technology. UK-based BioTeq told The Guardian that it had already fitted 150 implants in the country. While most were for individuals, some financial and engineering firms have had the chips implanted in their staff as a way of improving security. Implanted in the skin between the thumb and forefinger, the chips use RFID and NFC, letting them perform tasks such as opening certain doors and starting cars. They can also be used to store medical data, which could be accessed if the person was involved in an accident. Swedish firm Biohax is also involved in the microchipping business. The Daily Telegraph reports that it was in talks with a number of UK legal and financial firms who want to offer the implants to employees. One of these is said to be a major financial services with hundreds of thousands of staff. Biohax’s chips cost £150 (around $193) each and are about the size of a grain of rice. Österlund says that big companies with over 200,000 employees could offer them to workers as an alternative to carrying around an ID pass, claiming they will save firms money. The Guardian notes that Britain’s biggest employer organization and main trade union body have spoken out against the microchips. Not only do they say companies have more immediate priorities, but there’s also a concern that such technology could eventually be used to monitor staff and keep a constant eye on their whereabouts. There's also the fear that some workers might feel pressured into getting chipped. Last year, Wisconsin-based Three Square Market became the first company in the US to microchip employees. The chips allow staff to make contactless, cashless payments at special vending machines on site. Working with Swedish rail firm Statens Järnvägar, Biohax lets passengers use implanted chips instead of tickets on the Scandinavian country’s trains. An Australian biohacker carried out a DIY version of the implanting procedure last year, but transit authorities canceled his chip, which was cut out of a travel card.